Everyone needs a bit of inspiration around the holiday season, and I'm no different. 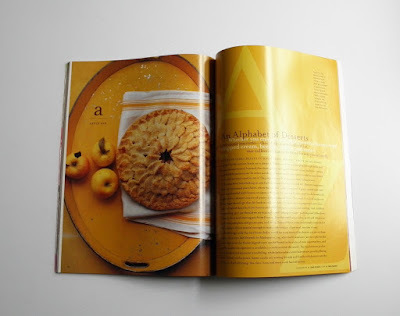 At the beginning of December, I pick up the well-worn special issues of Martha Stewart Living magazine that I've collected over the years, and I begin to find that little something to spark my holiday spirit. What I love about doing this is that I get to sit back and remember the recipes, ideas and projects that have worked for me in the past. I try to recall who liked what, and which treats were by far the winners of that particular year. Keep in mind that some of these issues go back well over a decade, but make no mistake: they are as useful and inspirational today as they were back then. I can't say that I have every single Holiday Special Issue from MSL, but the issues pictured in the collage above, are certainly my favorites. 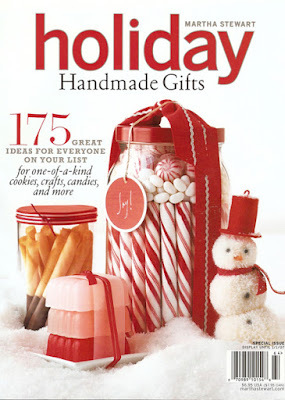 Below are the ones which I feel are must-haves from Martha Stewart Living. 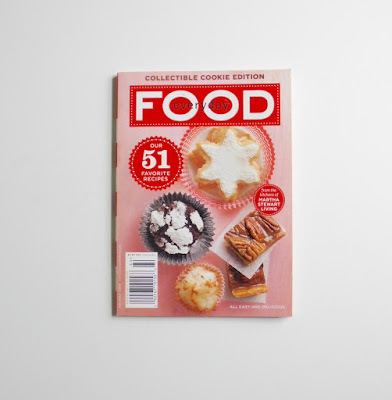 Everyday Food magazine published their special issue of 51 favorite holiday cookie recipes years ago, and it's a digest-sized magazine that I turn to quite a bit. Their Outrageous Chocolate Chunk Cookies and their Coconut Snowballs are so tasty. 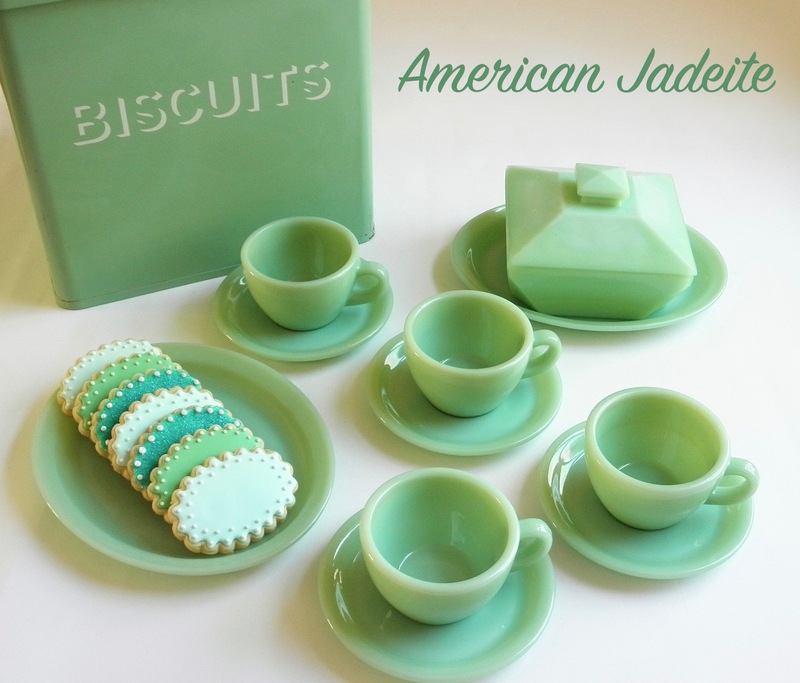 I also like the simple sugar cookies and their toffee bit blondies a lot. This special issue pamphlet was not available at newsstands to my recollection. Instead, it was offered as a subscription gift. 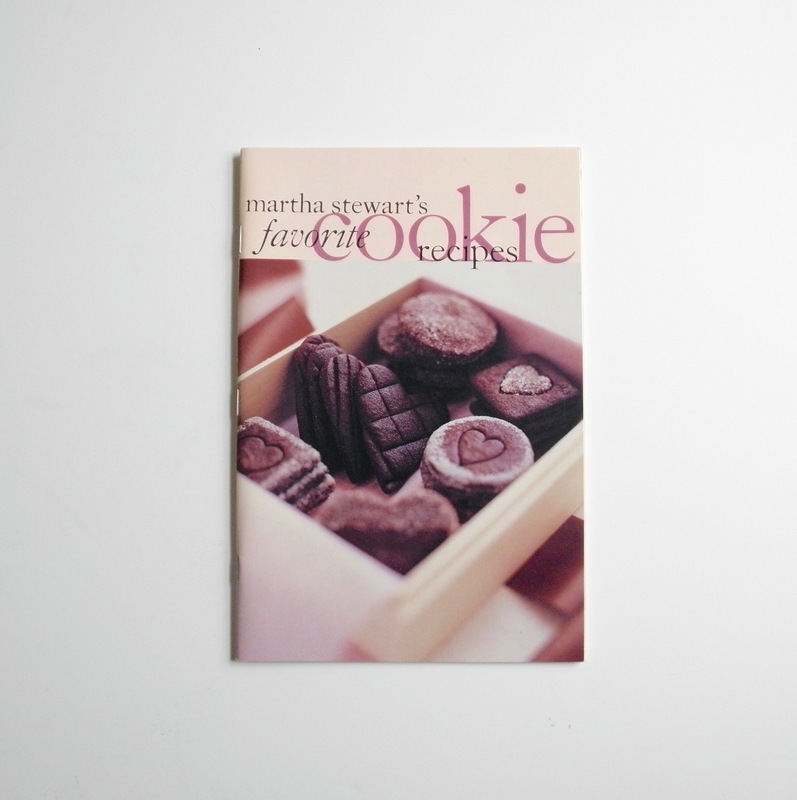 Martha's recipes, which include her Cream Cheese Bows and her mother's Chrusciki, are all found in this glossy pamphlet. 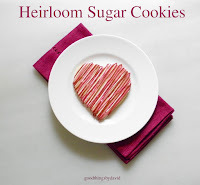 I love the chocolate sugar cookies that are in this issue because they can be baked any time of the year. Pick through your favorites and begin baking now! 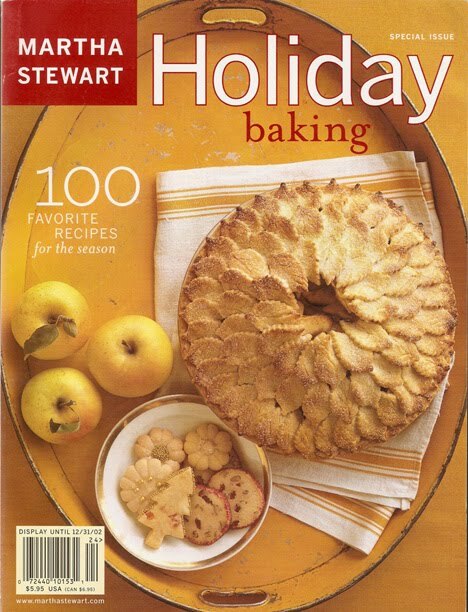 The holiday baking issue from 2002 is perhaps my all-time favorite special edition. Not only is it quite informative and chockfull of recipes, it is probably the most beautiful of the special issues published by Martha Stewart Living. I love the glossary of desserts in this special issue, which begins with that gorgeous apple pie featured on the cover. From there, desserts of all types fill the subsequent pages. I've made several of the steamed puddings from this publication, as well as the hermit bars, the coconut cake, and other sweets. Everything has turned out beautifully year after year! This special issue was the first devoted entirely to cookie baking. 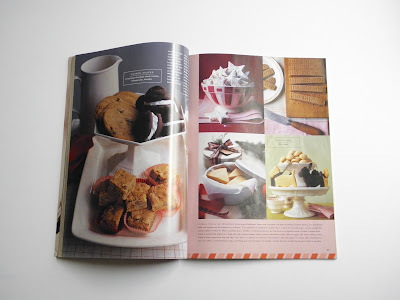 It has the classic recipes which were created and featured in the magazine, as well as in the television show taped in Westport, Connecticut. 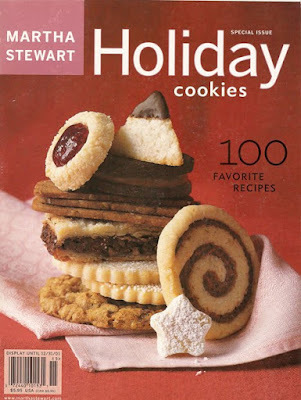 The endless versions of Scottish shortbread, the bars, the sandwich cookies, are all perfect year round, but they're especially welcomed during the holidays. 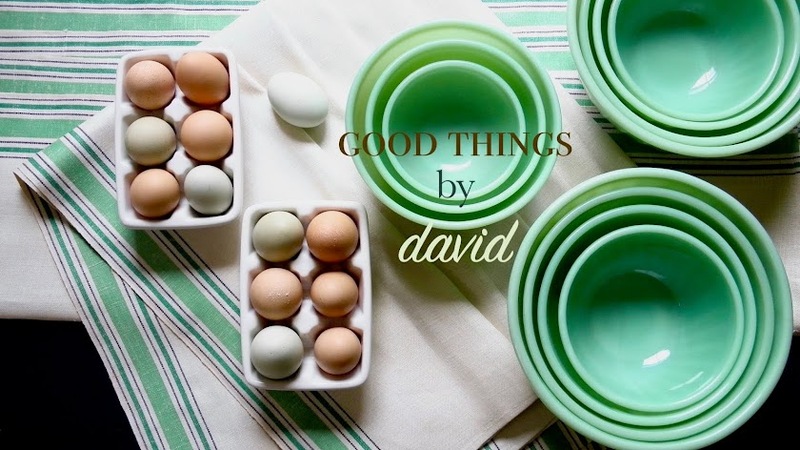 Handmade gifts don't mean that you have to do everything from scratch. 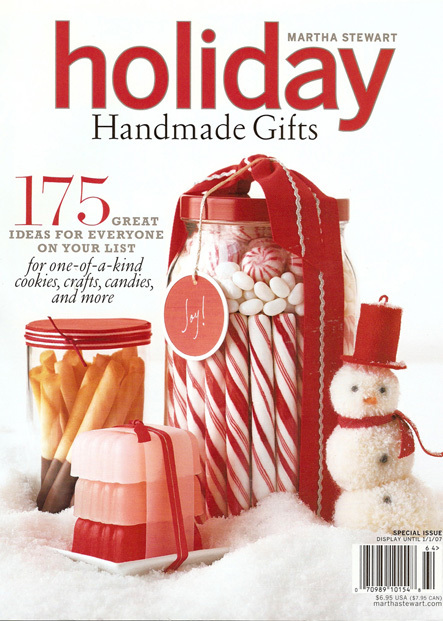 A simple arrangement of sweets inside a jar that is personalized, can do wonders during gift-giving season. 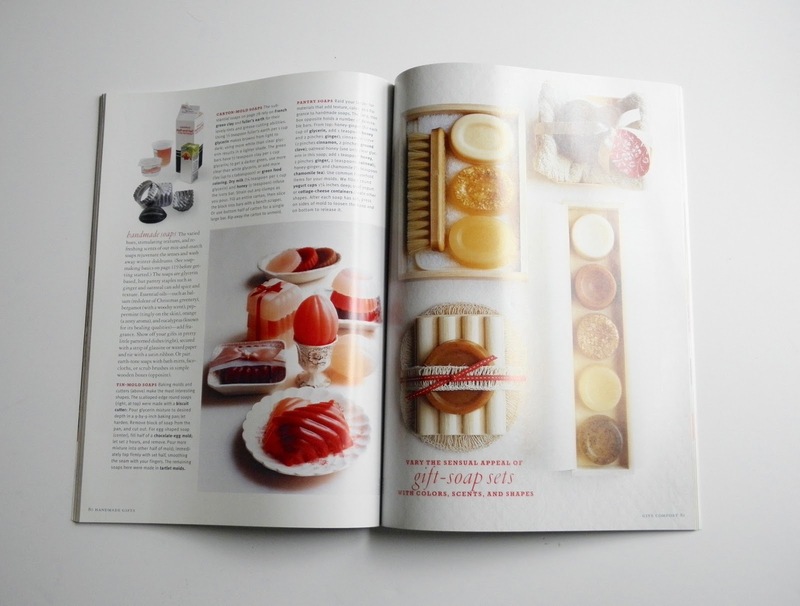 However, if you want to try your hand at handmade soaps, cookies, and little pompom animals, this issue has all of the necessary instructions for you. 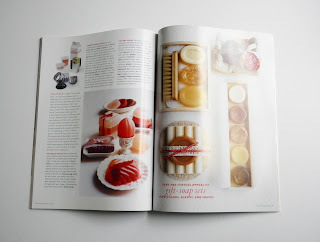 Although I have yet to try making my own soap, I will keep this Holiday Handmade Gifts issue within easy reach in case I get inspired to do so. If you don't already have these special issues, I strongly suggest that you look for them on eBay or ask around in those social media groups to see if anyone is willing to part with them. I think they're well worth having in one's home because I have a feeling you will go through them, and be inspired like I am every single year.